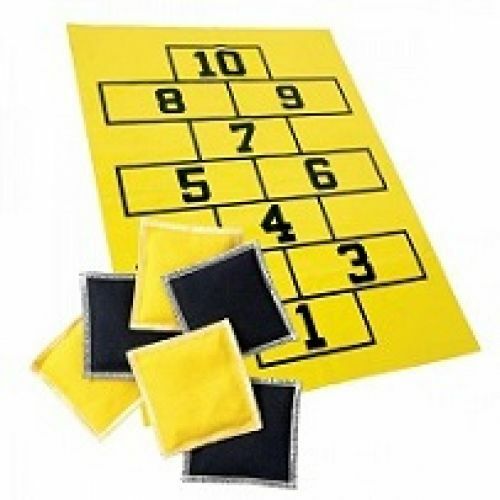 Encourage activity with this foldable & washable hopscotch game. Set includes (1) 45” L x 34” W mat and (6) 5” L x 5” W bean bags. Great for rainy day or indoor programs.